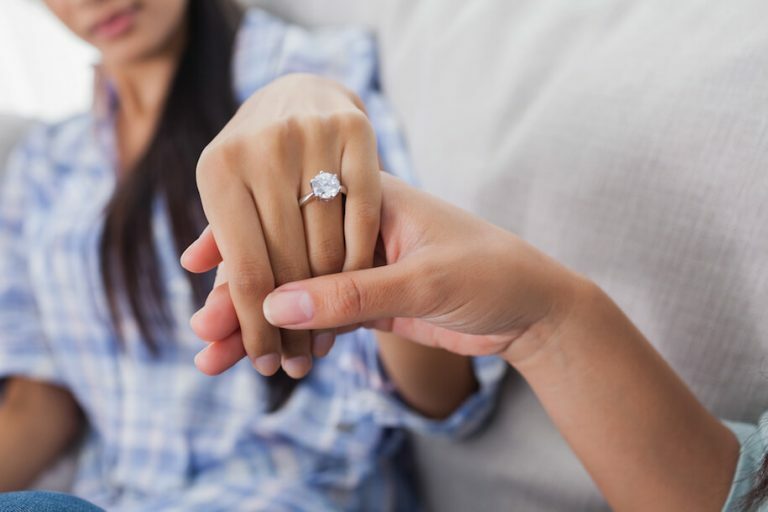 An engagement ring is one of the most sentimental gifts you can ever give or receive. It is a token symbolising eternal love and commitment and is a not only a representation of two peoples love but also embodies their individual style and personality. 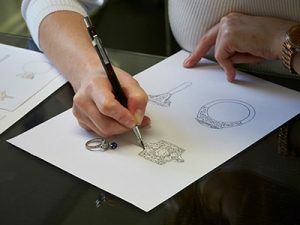 You may wonder how it is possible to personalise an engagement ring with so many out there but from the most outlandish details to the most discreet, the options are endless. If you are a believer in the powers of astrology and the benefits gemstones can hold, then consider incorporating your birthstone into your engagement ring as the centre stone or as side stones. 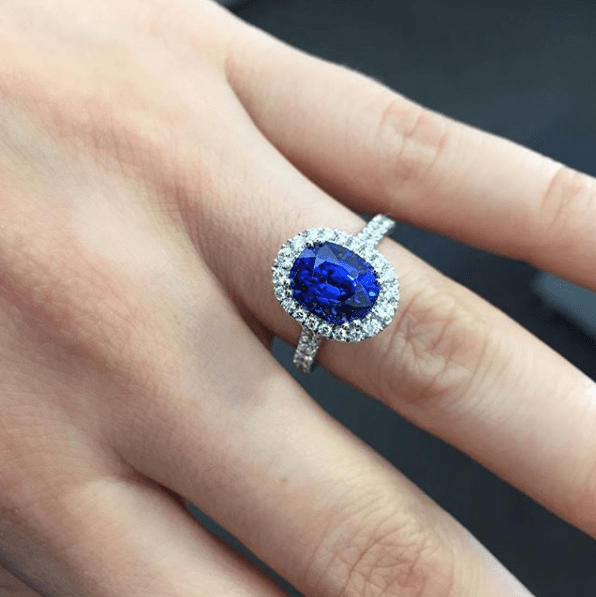 If you are born in September then Sapphire is your gemstone, a perfect alternative to a diamond and comes in an abundance of colours. For those born in April, you are the envy of all of us because you are blessed with the diamond as your birthstone. Hand engraving is one of the oldest techniques dating back centuries. 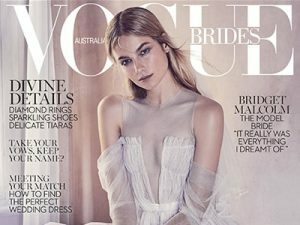 Incorporating this ancient technique into your design is a beautiful way to personalise your engagement ring. Choose to have a secret message engraved into the inside of your ring or have a more detailed pattern engraved onto the surface of the ring. The most popular choice of metal for engagement rings are white metals; either platinum or white gold but if you are after a less common choice, you may wish to choose rose or yellow gold. Both of these metals look wonderful set with diamonds or a range of coloured gemstones. Combining two metals is a great way to individualise your piece. Choose a dominant colour and then incorporate a secondary colour to the setting. Yellow and rose gold both make a perfect match to white metals. When you think of an engagement ring, the first thing that comes to mind is a diamond set into a perfectly polished band. High polished surfaces are classically sophisticated but they are not the only option. 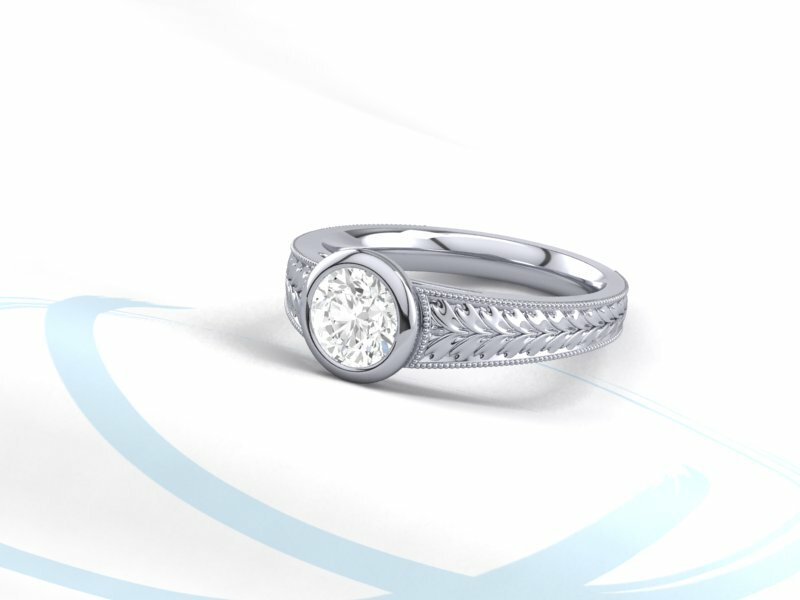 A textured or matte finished ring can create a striking point of difference adding contrast and character to your design. Filigree, an ancient technique inspired by lace, it features beautiful shapes which are either carved out of the setting and along the band or scrolls of fine wire inserted into the design. 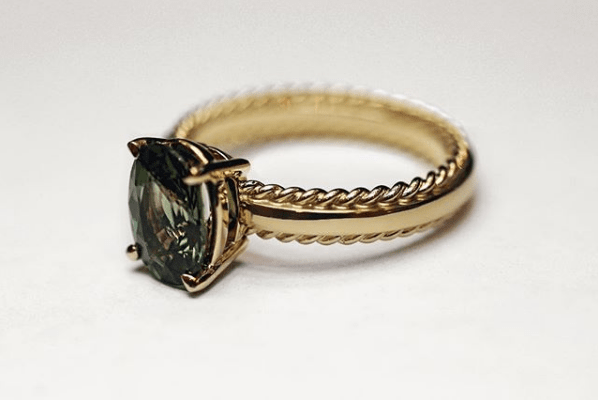 This is the perfect addition to any vintage style engagement ring. The most common choice of diamond shape is a round brilliant but there are many fancy shaped diamonds and gemstones to choose from. There are endless ways to incorporate these into your design, from one big centre stone to a trio of diamonds or a perfectly arranged halo, they can really set your design apart from the crowd. 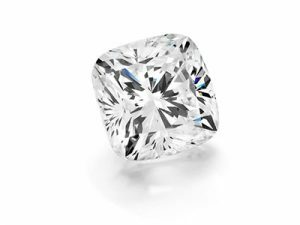 For those that love vintage designs, you may wish to consider a rose, antique or old mine cut diamond as your centre stone. These cuts were popular before technology advanced and modern cuts became the standard. Although slightly imperfect in comparison, they create a beautiful and interesting alternative. 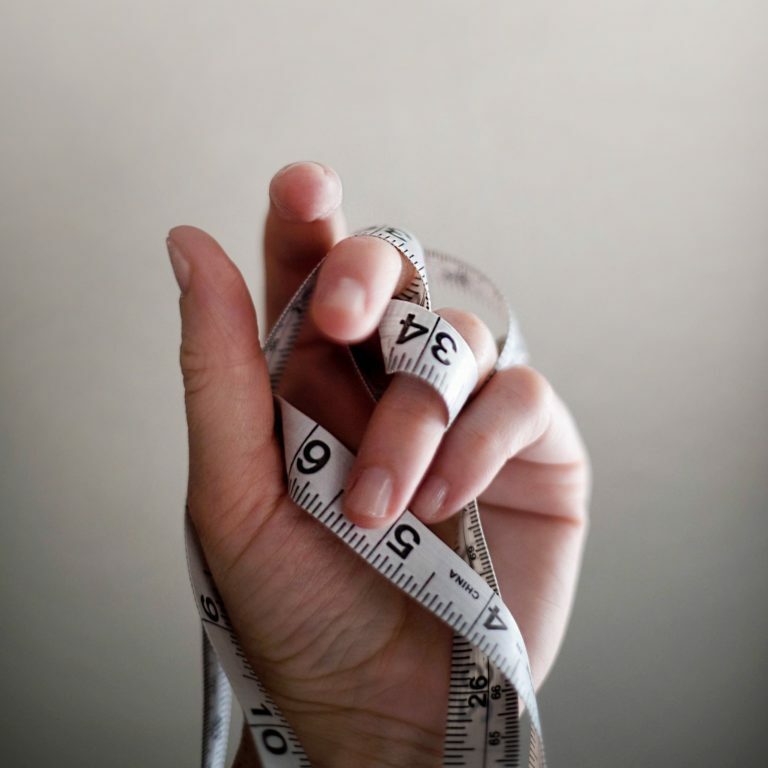 It is important to always have a professional eye determine if an individual stone is suitable for an engagement ring. 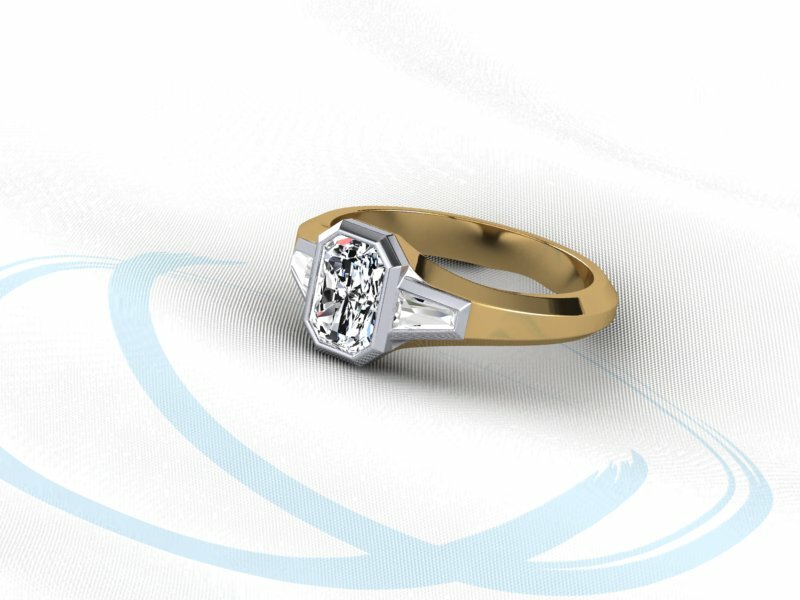 Your choice of side stone can make all the difference to your engagement ring. 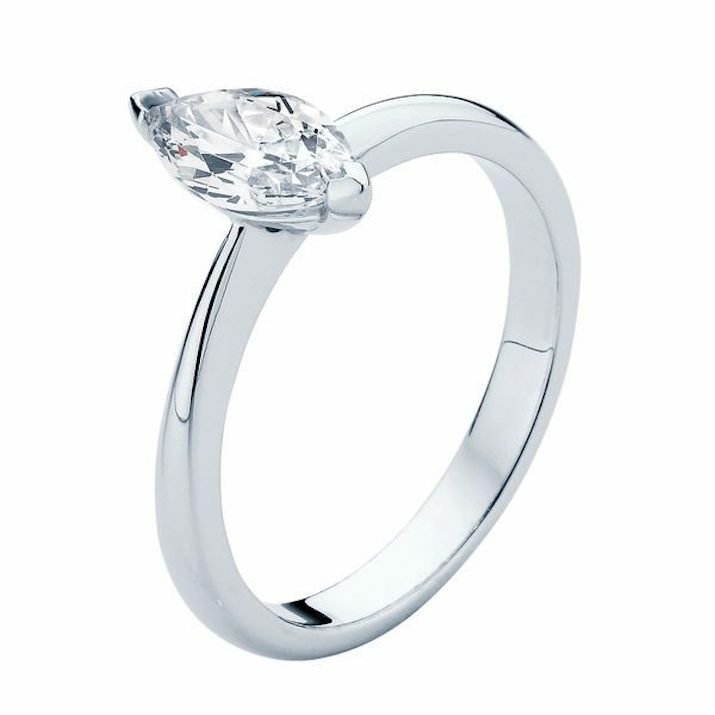 If you are after something truly unique, consider tapered baguettes, trapeze or kite shaped diamonds. Your side stones can also be the perfect place to add a splash of colour! A six claw setting is not the only option for your engagement ring. For a modern look, choose a full or semi-bezel setting, for a more vintage style, consider grain setting your centre diamond in a hexagonal or square frame with a mill-grained finish.